Ross-shire born Mary Snape and her husband Ernest, native to Sheffield, settled in Balloch in 1965 when they bought the original wooden shop and ESSO petrol pump. 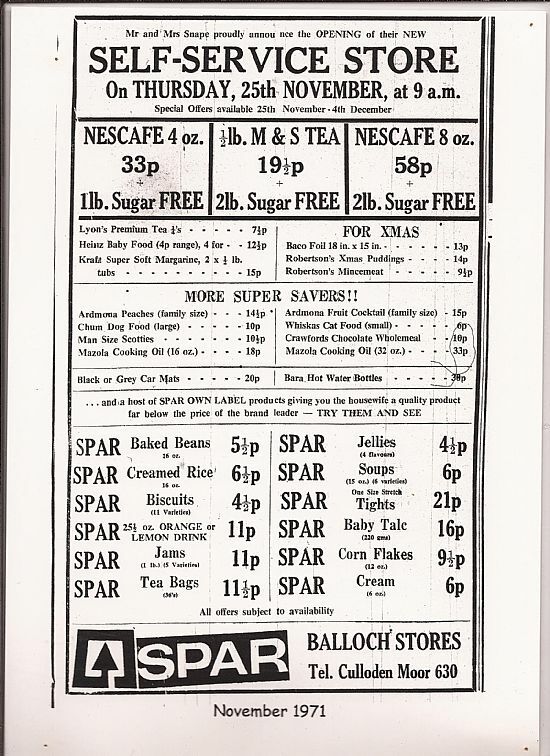 They expanded it to a modern self-service store in 1971 with the help of local volunteer labour. Several people recall the Snapes delivering groceries and giving dogs ice cream. Mr Snape drove a Bentley with which he would deliver groceries and logs to local residents. 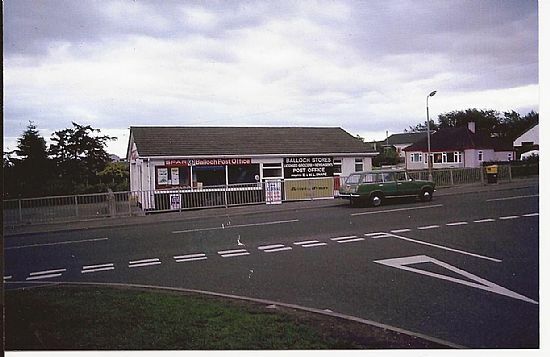 1991 - George and Linda Munro bought the shop with the associated Post Office. The Munros lived in the village and were very much part of the local community who knew their customers well. They knew the routines of their older customers and would often take action if any regulars failed to appear as usual to collect their pensions - active care in the community. 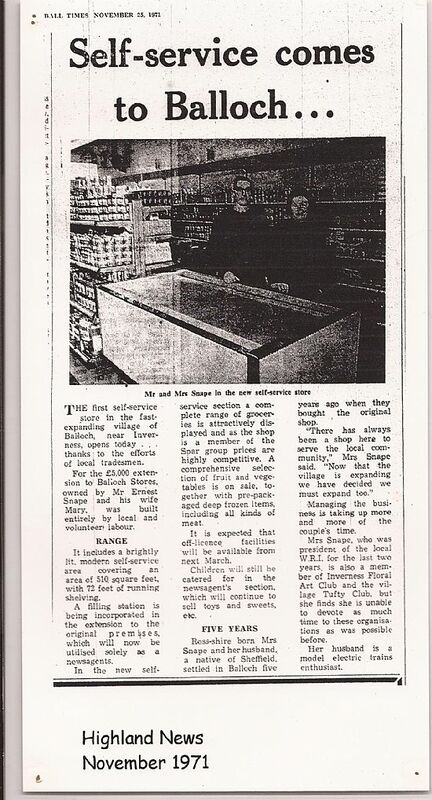 They would deliver groceries to many of the older residents who were unable to cope unaided and frequently got items for them that they did not usually stock - such as fresh fish. George and Linda are remembered in Balloch with immense fondness. 200X - The shop was shut for over a year and finally bought over by Scotmid in 200x+1. A welcome reopening for this much used and appreciated village shop but sadly we lost our Post Office.